Notice: In addition to coursework listed, ChiArts requires its music students to be enrolled in weekly private lessons starting in the freshman year for both instrumentalists and vocalists. Private lessons are to be taken outside of the regular school day. In this progression of courses, students will lay a lifetime foundation of healthy vocal habits. The class will cover exercises that develop posture, breath management, production of sound in the three vocal registers (head, passagio, and chest), diction (English, French, Italian and German), and musical expression. Students will also study solo vocal literature to actively apply these concepts. The techniques classes will allow students concentrated time to develop the vocabulary of their instruments. Material will include scales and arpeggios in all keys, from memory, over the full compass of the instrument, as well as regular etude assignments. As relevant, technique classes will also address healthy playing posture, breathing, tone and vibrato. Comprehensive snare drum study provides a technical foundation that students will apply to instruments throughout the percussion family. This sequence of courses will present the 40 International Drum Rudiments endorsed by the Percussive Arts Society and will also discuss how to apply these in context with musical expression. Snare Technique I & II will also include drum set and chart reading. Styles to be addressed include Swing, Big Band Jazz, Combo Jazz, Jazz Waltz, Mambo/Afro Cuban, Bossa Nova, and Samba. The mallet family of instruments includes xylophone, marimba, glockenspiel, chimes and the vibraphone. Their study will allow percussion students to develop the critical skill of reading notes. Students will begin this study on the xylophone with two mallets. This fall semester course will continue building the student’s mastery of two mallet technique, focusing on the marimba. This spring semester course will introduce students to playing techniques for frequently requested auxiliary percussion instruments: bass drum, suspended and crash cymbals, tambourine, and the triangle. Students will also begin their study of the timpani, working on technique, tone production and tuning skills. Focusing on the marimba, this course will develop the student’s ability to play richer musical textures using four mallet technique. This course will have a two-part focus. Students will continue their mastery of timpani technique, with particular attention to aural skills and tuning. They will also learn how to juggle the coordination of playing multiple percussion instruments within the same piece, an increasingly frequent demand in modern ensemble literature. This course is for students with no previous experience in reading and writing music. It will introduce students to treble and bass clefs, rhythmic notation, simple meters, intervals, the construction of major and minor scales, key signatures, and triads. Aural recognition of these musical elements will also be a significant component of this course. This course is designed for students who demonstrate mastery of the material covered in Music Theory Fundamentals. It will introduce students to chord inversions, seventh chords, chord progressions, basic Roman numeral analysis, the function of non-chord tones, cadences, and compound meters. Aural skills training will continue to develop the student’s accuracy in identifying intervals and chords at increasingly sophisticated levels and will also include sight-singing and rhythmic dictation. AP Music Theory is a continuation of Music Theory I and is designed to prepare students to take the AP exam in Music Theory and to receive college credit. Emphasis is placed on the development of skills necessary to recognize, understand, and describe the basic materials and processes of music that are heard or presented in a score. Each unit will work with concepts of Melody, Rhythm, Harmony, Form, and Tone Color at increasingly complex levels. Students will engage with the concepts through a variety of rigorous musical activities including written work, sight singing, listening and composition. 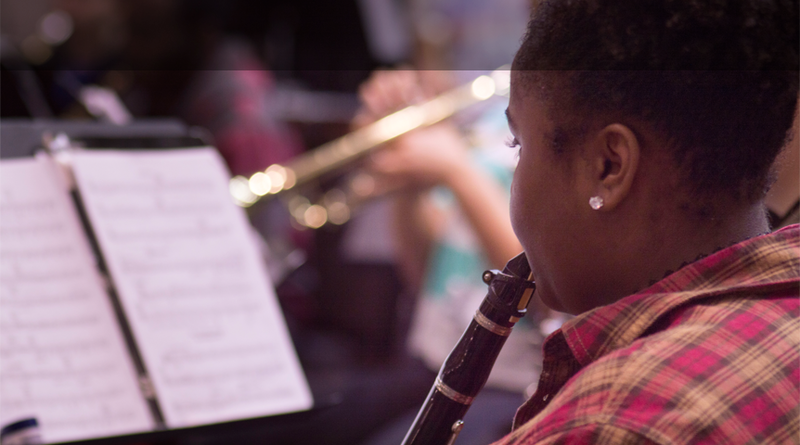 Students will ultimately, individually and as a collective, answer essential questions concerning the essence of musical creativity and expression. This course is designed for students with no previous keyboard experience. Physically, students will develop strength and agility of all fingers and independent coordination of the two hands. Reinforcing the material taught in Music Theory Fundamentals, the class will incorporate tonic-dominant chords and major scales. The skill of note reading will also be emphasized. By the end of this class, students will be able to play simple right hand melodies accompanied by block chords or arpeggiated harmony in the left hand. This course proceeds from the foundation established in Keyboard Skills I. In addition to introducing pieces with more complicated textures, course material also includes minor scales and chord progressions in all keys. Sight-reading will be a regular class activity. In this course, students will continue to play solo piano repertoire but will also turn increasing attention to using their keyboards skills to enhance musicianship in their area of concentration. By the end of this class, students will be able to fluently play chord progressions in chromatically ascending or descending keys (as used in vocal warm-ups) and will have experience in playing simple accompaniments to vocal and instrumental solos. This course will provide a positive and musically valuable singing experience for instrumentalists. Singing is invaluable for sharpening the inner ear and creating greater awareness of the body as an instrument. No prior singing experience is necessary and all students will be guided in how to make music with their voices in a healthy way. Sessions will include exercises on posture, breathing, singing in different registers of the voice, and diction, as well as exposure to a wide variety of choral repertoire. The Repertoire seminars will broaden students’ appreciation of their instrument family’s repertoire and exemplary practitioners. It will be strongly centered around listening, reading and discussion. Students will also experience the material through performance within the class setting. This course will provide a comprehensive overview of Western classical music from the Medieval, Renaissance, Baroque, Classical, Romantic and Contemporary periods. Through listening, reading, class discussion, and written assignments, students will develop an appreciation for different musical styles and the impact of social, political, and cultural influences on the musical product of each time period. Technology touches almost all aspects of 21st century life and music is no exception to this. This course will offer a broad overview of the many ways in which technology can enhance the life of a professional musician. Students will gain hands-on experience with music notation software, creating high-quality recordings, sequencing software, blogging and podcasting. Being a professional musician today looks very different than it did even a few decades ago. Rather than following a prescribed formula, musicians must be prepared to create a unique career path that blends their strengths and interests. This professional life will likely be woven together from many strands such as performance, education, interdisciplinary collaboration, writing, business, and technology. Students need to cultivate their imaginations to find those paths that spark their passion, while also being useful to society and earning them a living. This yearlong seminar during the junior year will address polished self-presentation through a variety of mediums, exploration of career paths, and audition taking. The class will also prepare students to meet the senior solo recital requirement through discussions on programming, audience building, publicity, writing program notes, and coordination of behind the scene logistics. This class will provide students with the necessary skills to accompany vocalists and other instrumentalists. Students will have multiple opportunities to gain confidence with these ensemble skills through accompanying peers and guest musicians. This performing ensemble will rehearse and present both repertoire for the full group as well as for smaller wind chamber groups. Students will take an active role in self-assessing the ensemble’s progress through written rehearsal reflections. Wind Ensemble gives a minimum of three performances at ChiArts each year and also participates in external competitions and festivals as appropriate. These performing ensembles are for Vocal and Music Theatre majors. Other music students may elect these ensembles pending schedule feasibility and permission of both the Junior or Senior Choir Director and Music Department Head. Both choirs will explore choral literature from all periods and styles. Rehearsals will actively reinforce the concepts of good breathing, vocal tone production and diction, as taught in the Vocal Techniques curriculum. Junior and Senior Choir give a minimum of three performances at ChiArts each year and also participate in external competitions and festivals as appropriate. This performing ensemble will rehearse and present repertoire in varied styles for guitar ensemble. Students will take an active role in self-assessing the ensemble’s progress through written rehearsal reflections. Guitar Ensemble gives a minimum of three performances at ChiArts each year and also participates in external competitions and festivals as appropriate. This course will introduce students to a variety of jazz styles, as well as to the skill of improvisation. The primary goal of this course is to help students to start building a musical vocabulary for improvisation as they learn a core collection of jazz standards. Students will actively apply what they are learning in a combo. Enrollment for this course is limited and students may be required to audition to take the class. Membership in this ensemble is by audition only. The ChiArts Combo typically gives numerous performances throughout the year, both at ChiArts as well as at outside venues. Ensemble members should be prepared for additional time commitments after school as well as occasionally on the weekends. This performing ensemble will rehearse and present repertoire in varied styles for four, six, eight and ten hands. Students will take an active role in self-assessing the ensemble’s progress through written rehearsal reflections. Piano Ensemble gives a minimum of three performances at ChiArts each year and also participates in external competitions and festivals as appropriate. This performing ensemble will rehearse and present both repertoire for the full group as well as for smaller string chamber groups. Students will take an active role in self-assessing the ensemble’s progress through written rehearsal reflections. String Ensemble gives a minimum of three performances at ChiArts each year and also participates in external competitions and festivals as appropriate. All vocal majors will study Acting in order to develop their expressive performance skills. Using improvisation as a basis for the fall semester, students will explore a connection to the self and their ensemble. They will begin with exercises and techniques developed by Viola Spolin to explore and heighten their connection to sensory life, environment and relationship in order to develop their creativity, imagination and understanding of human behavior. They also will develop skills related to scenic objectives, listening, impulse, problem solving, physical and verbal communication and given circumstances. Building on the work of the fall, students will begin to work with text (existing and self-generated) such as monologues and short scenes in the spring semester. They will be expected to take all the skills they have developed in the first half of the year and to begin to apply them to the text. Dance for Music Majors is a beginning dance class that will combine basic principles of classical ballet technique, modern dance, and folk dance. Class will consist of center floor warm-up, strengthening exercises, across the floor exercises and, musical theater and classical opera inspired dance combinations. This class is designed to benefit dancers of various levels ranging from beginning to advanced and it builds upon the foundation and the vocabulary of Modern Dance and Classical Ballet. Emphasis will be on developing body alignment, clarity of movement and musicality, and performance proficiency. Elective opportunities for the junior and senior years include Composition and Chamber Music.